We will review substantial legal malpractice cases arising anywhere in Texas or Florida. We can review matters from other jurisdictions, with the understanding that we would be retaining local counsel in those other states. Did my lawyer fail to file my case in time? Did my lawyer force me to settle my case for an inadequate amount due to a conflict of interest? Did I get sued because my lawyer drafted a document or agreement that was improper or ambiguous? Did the lawyer sign documents without my consent? Did the lawyer settle my case below the policy limits that were available? Did the lawyer use adequate "discovery"? Did the lawyer "dump" my case just before the statute of limitations ran out? Was my lawyer truthful with me about the status and handling of my case? There are, of course, many other ways in which a lawyer might have caused a client harm. If your answer is yes to any of these questions, or if you have other questions you would like to discuss with a legal malpractice attorney, please contact the Law Offices of Eric G. Olsen for a free consultation. TEXAS OFFICE: 595 Round Rock West Drive, Suite 605, Round Rock, Texas 78681, Telephone: 512-201-4348, Telefax: 512-201-4349. FLORIDA OFFICE: 734 NE Jensen Beach Boulevard, Jensen Beach, Florida 34957, Telephone: 772-225-3393, Telefax: 512-201-4349. EMAIL: ego@egolaw.com. 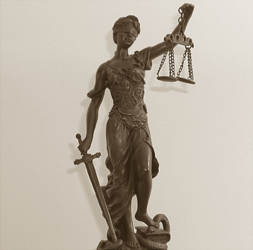 We handle legal malpractice matters because we believe in accountability and responsibility. Often, an attorney is merely negligent and that negligence has caused a client to either lose his or her case, or dramatically diminished their recovery. On the other hand, occasionally we see cases where, we are sorry to say, members of our profession have actually stolen money from clients, or misled or taken advantage of the trust the client has bestowed upon them. Some people will rob you with a gun; others can rob you with a pen. And when they do, we welcome the opportunity to make things right, to the extent we can. If you think you have been the victim of attorney negligence, or breach of fiduciary duty, please call today for a consultation.